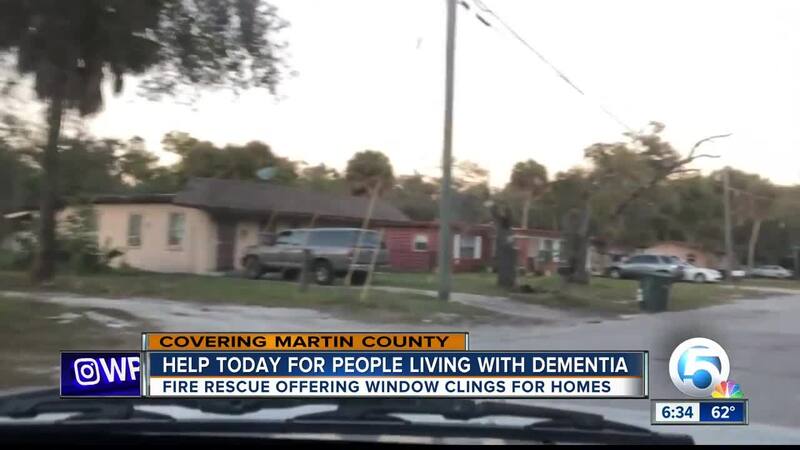 STUART, Fla. — Help is on the way for Martin County residents and first responders concerning patients with dementia or Alzheimer's disease. 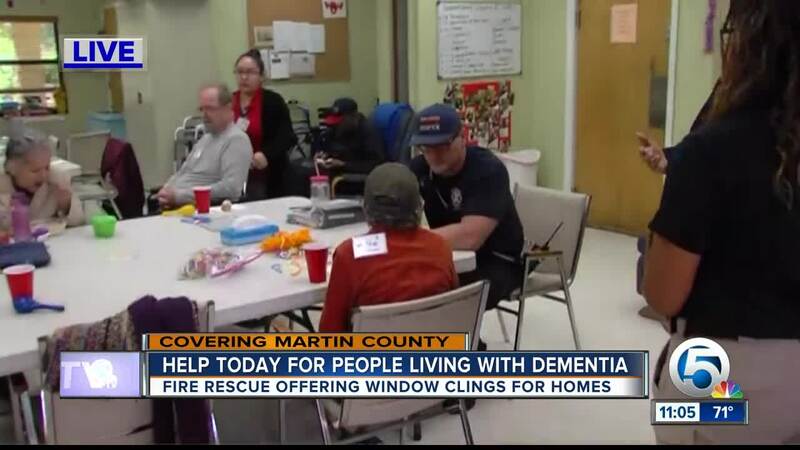 On Wednesday, Martin County firefighters are handing out window stickers to residents of homes that have someone with a declined mental condition. A woman whose mother has dementia says a simple sticker like this can save a life. “She has trouble getting out of bed. She has a walker. She doesn’t hear well. She might get confused, and especially if it’s during the night, she might not know what’s going on, so that would be a big help,” said Cathleen Sandas, whose mother has dementia. The sticker on homes will also help crews safely and effectively assist that person in case of an emergency. "(If the home has the sticker), I'll know that if we encounter a dementia patient, they may be combative. They may not understand what's going on, and now the stress level is even more. So, I would relay that to the crew when they go inside to understand that's why the person is being combative and even possibly hiding or trying to stay away from them," said Martin County Fire Rescue Capt. Joshua Shell. If you or someone you know needs one, firefighters are handing out the stickers at Prince of Peace Lutheran Church located on 2200 North Federal Hwy. in Stuart.